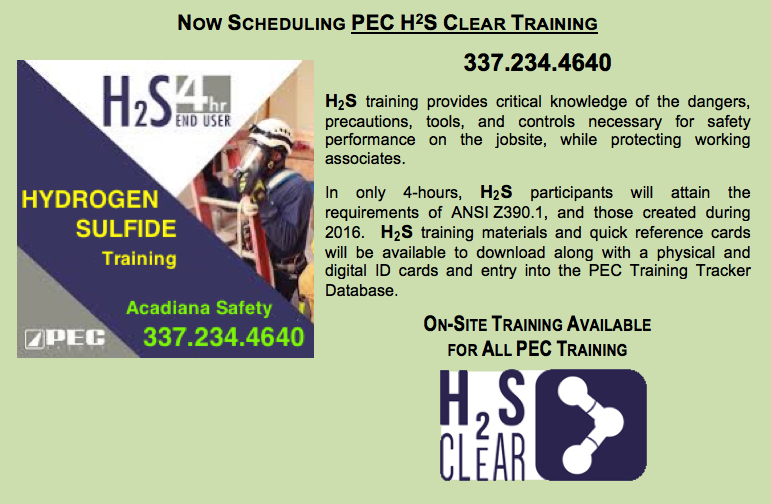 While not only improving safety performance, H2S clear also prepares general industry workers by providing crucial knowledge of the dangers of H2S and the precautions, tools and controls necessary when working in H2S environments. This course has no prerequisite and covers the current classroom requirements of ANSI Z390.1 and is designed to meet the new ANSI requirements coming in 2016. 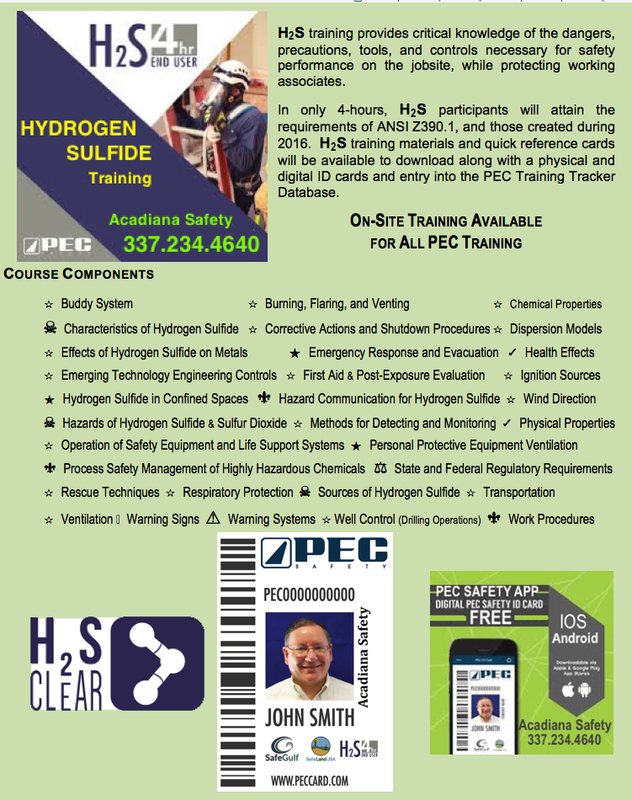 PEC H2S Clear can also be used to enhance our other training courses such as PEC Basic Orientation, PEC Basic/10, or PEC Core Compliance. 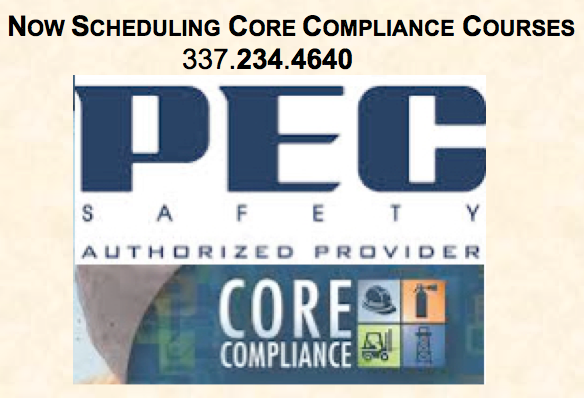 At a minimum, it is recommended to complete PEC Basic Orientation prior to taking H2S Clear to meet general industry safety orientation requirements. SafeLandUSA is a volunteer organization comprised of major and independent operating companies, industry associations, and educators with the purpose of developing a standardized orientation which sets minimum requirements for the US Onshore E&P Industry. Why Participate in SafeLandUSA, SafeGulf and SEMS ?